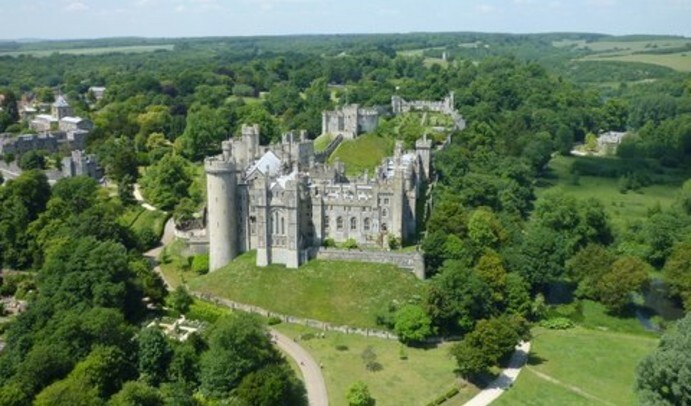 Arundel Castle in West Sussex will celebrate the 950th anniversary of its initial construction this year. To celebrate, the Castle has arranged a bumper calendar of events including a week-long jousting and medieval tournament. Reopening to visitors on 1 April, the Castle’s calendar boasts two brand new events as well as the return of several visitor favourites. Kicking off the open season and new for 2017, the Warriors of Arundel Castle (8-9 April and 17 September) will explore 1,000 years the Castle’s tumultuous history with costume, crafts, weapons and thrilling combat displays. April also features the Annual Tulip Festival – the highlight of the garden displays – with a record 36,000 of the brightly coloured blooms on show. The ever-popular Castle Siege returns on 27-29 May for a three-day spectacular featuring skirmishes between English and French soldiers as they try to take control of the Castle. 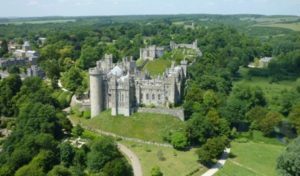 With a large tented encampment including Raven Tor Living History Group, the Wessex Medieval Alliance and the Company of St Barbara, Arundel Castle’s grounds will be filled with the sights and sounds of battle and conflict. Also new for 2017, a Four Nations Medieval Tournament (17-18 June) will see England, France, Poland and Denmark facing off in a thrilling free-style competition using a variety of weapons. The climax of the year, the International Jousting and Medieval Tournament, takes place on 25-30 July. The world’s longest event of its kind, knights from across the globe will descend on Arundel to battle for glory on horseback during an exhilarating six-day competition.